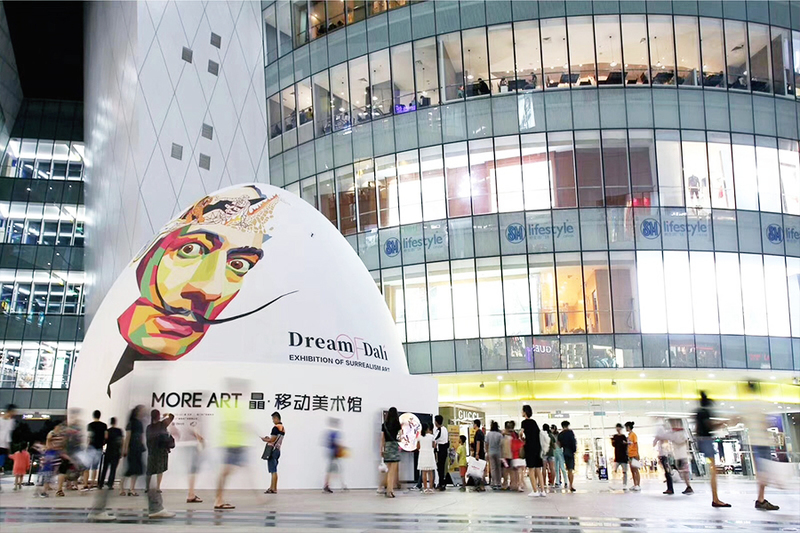 The latest technology lets visitors immerse themselves in art. 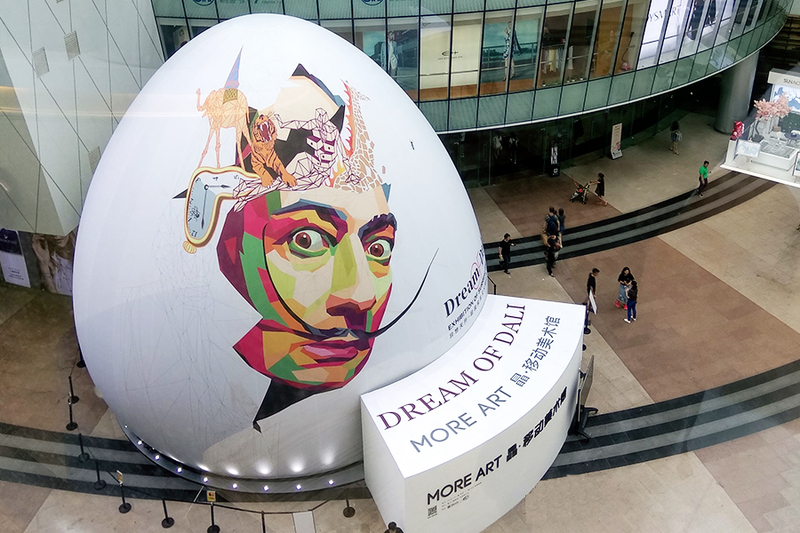 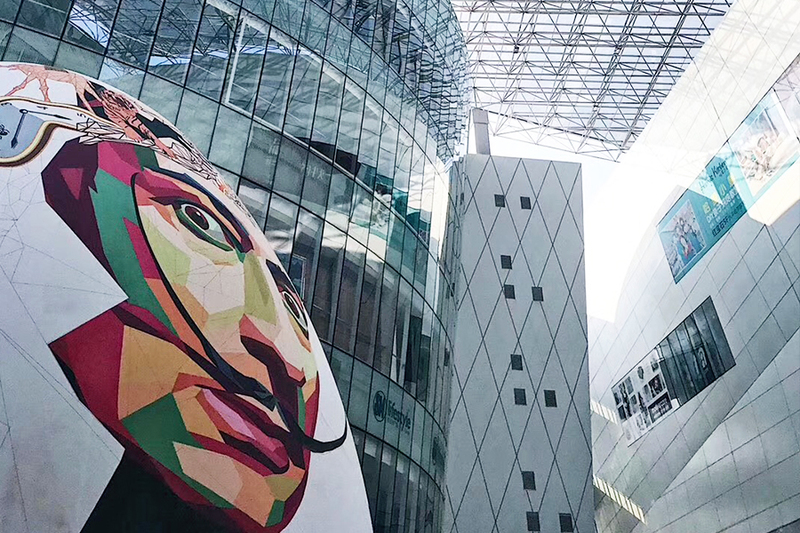 Our Chinese partners used a dome for their Dali exhibition. 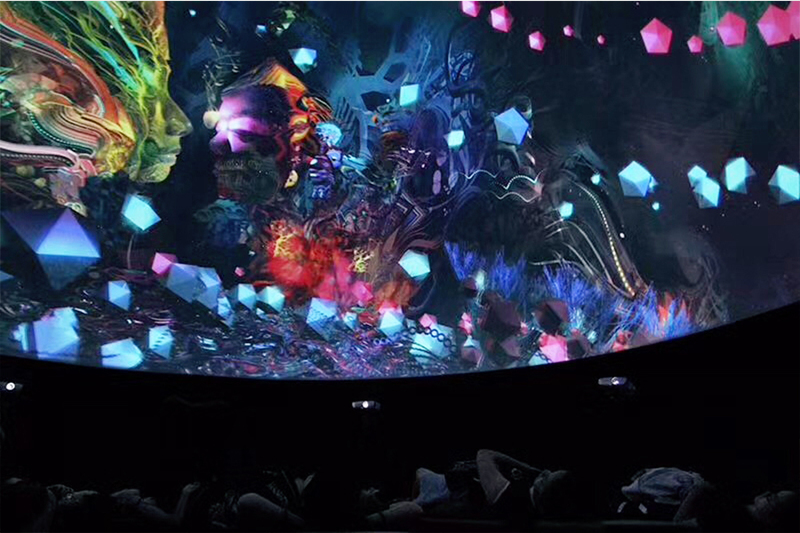 A decorative outer cover featured the artist looking askance at the crowd, and inside – unique digital content.